“I mean, it’s winning time,” Dotson said with a sly grin. That it was, and few players contributed to KU’s season-opening victory more than the Jayhawks’ freshman backcourt. 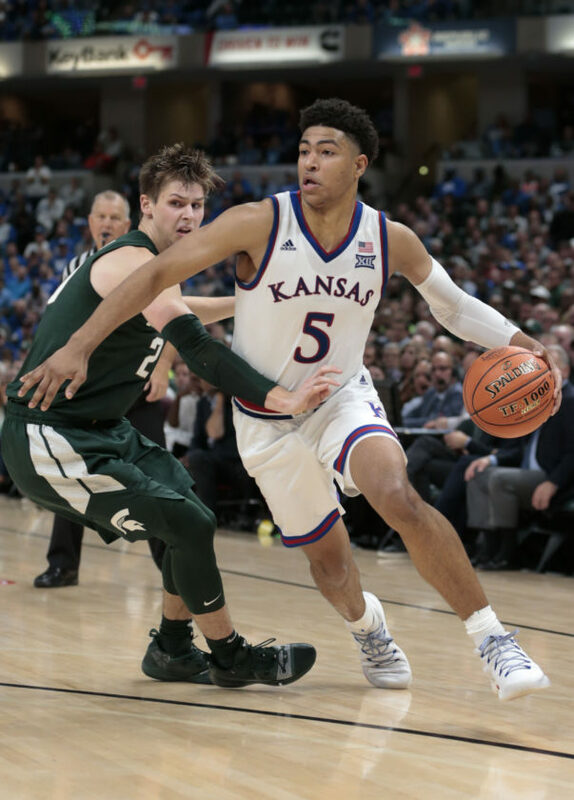 After ho-hum performances in two exhibition games back in Lawrence, Dotson and Grimes delivered like the McDonald’s All-Americans they were, combining for 37 points on 9-of-15 shooting from 3-point range to help Kansas (1-0) race past Michigan State (0-1) in what was the highest-scoring Champions Classic game in history. 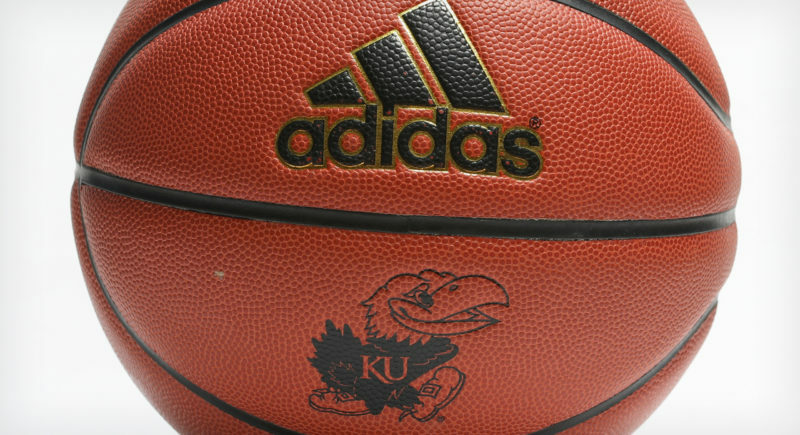 KU took control early and led 50-36 at the half before scratching and clawing to hold on late, and both Grimes and Dotson played a huge role in giving the Jayhawks the separation that allowed them the cushion to survive the Spartans at the end. Grimes connected on six of his first seven 3-point shots and kept hunting more. Grimes scored eight of KU’s first 14 points and finished with a game-high 21 for the night. Dotson finished with 16 points and knocked the Spartans off balance with his pace and tempo. 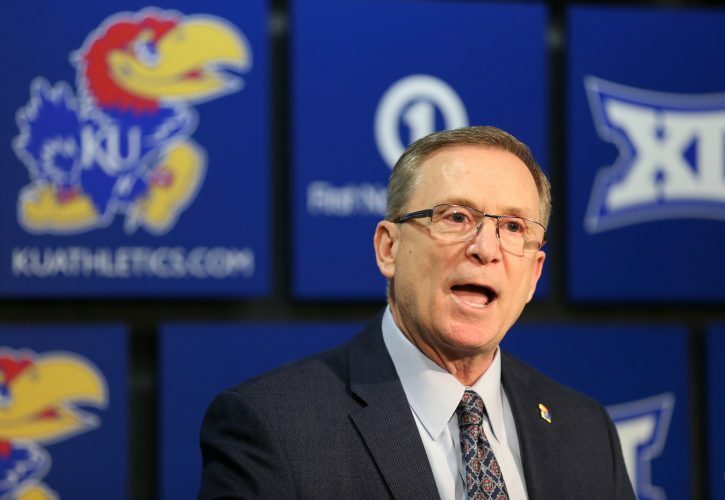 Self said the two talked last week about being an extension of the KU coach on the floor, and Dotson passed that test by saying all the right things. The rookie from Charlotte, N.C., did not necessarily make all the right plays on Tuesday night — both he and Self said he could play much better — but as far as debuts go, Tuesday’s effort was about as good as one could ask for, especially given the fact that all Dotson had to do was take the reins from All-Americans Frank Mason III and Devonte’ Graham on the biggest stage in college basketball for the No. 1-ranked team in the land. 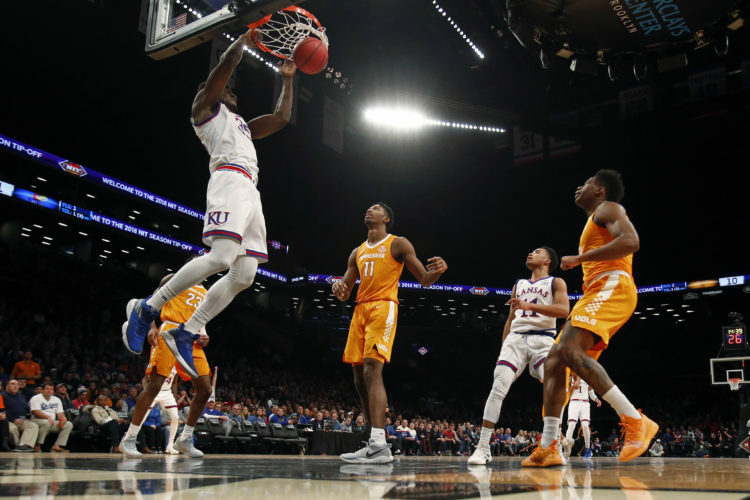 Tuesday’s win was hardly all roses for the Jayhawks, and the statistics provided a clear indication of why the game came down to the final few minutes when it looked, for a while at least, like Kansas might lap the Spartans during an easy, double-digit victory. KU shot 44.9 percent from the floor and gave up 44.1 percent shooting to MSU. The Jayhawks hit 10 of 23 3-pointers and gave up 12-of-23 shooting to the Spartans. And the two teams shot in the 60s in free-throw percentage, with KU hitting 20 of 33 and MSU 23 of 35. The Jayhawks did outrebound the Spartans 42-40, but the biggest edge came in an area where Kansas had struggled during exhibition play. After turning the ball over 42 times in easy wins over Emporia State and Washburn, the Jayhawks gave it away just 11 times on Tuesday night, while forcing Michigan State into 18 turnovers. That led to a 20-11 edge in points off turnovers and helped KU maintain control on a night when it led for 37:49 of the 40-minute game. A big part of the reason for KU maintaining that lead was the play of junior center Udoka Azubuike, who played hungry in spurts and flashed an evolved offensive game after airballing his first field goal attempt of the night. Azubuike finished with 17 points and six rebounds on 7-of-10 shooting in 20 minutes, many of them coming late when KU ran everything through him in order to keep Michigan State from climbing any closer. 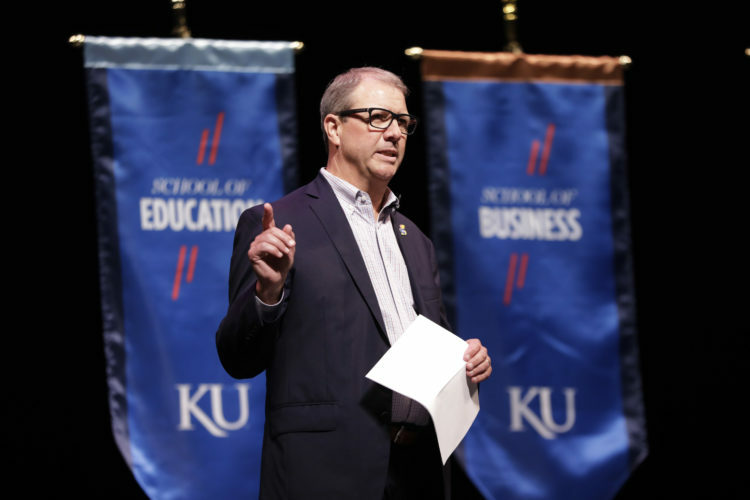 In the end, no one in KU blue really cared too much about numbers, stats, minutes or moments. The only thing that mattered was that this team, which is still very much trying to find itself and figure out how all the parts work together, walked away with a tough win against a good team on a big-time stage.